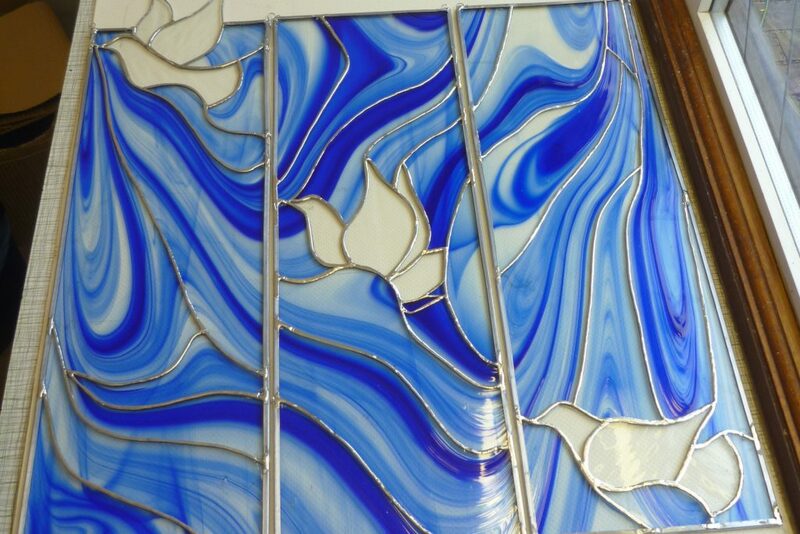 What is Copper Foiled Stained Glass? Start by learning to cut glass, discovering which shapes are easy and which are a little trickier. 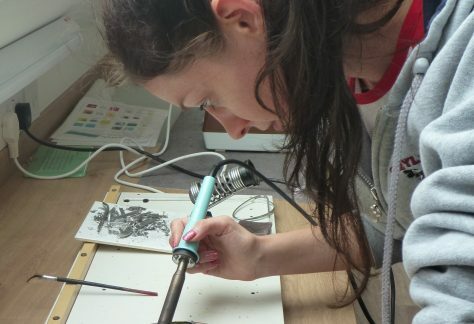 We’ll show you how to create a cartoon (template) for your design, including up to ten pieces & up to A4 in size if you’re with us for a two day course. 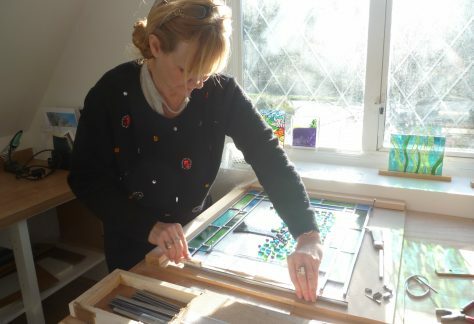 Choose from our extensive selection of glass and cut, foil & assemble your masterpiece! Build on your previous experience & make a more advanced panel or something in 3D. If you like, you can also incorporate other materials such as glass nuggets, agate, seashells, beads, wire etc. Again, you have free choice from a wide range of glass; we have mirrors to decorate too. Start by learning (if you haven’t done it before) to cut glass & create a cartoon (template). We’ll provide basic materials to get you started. When you’ve created your design, we can give you guidance as to the materials that you’ll need to buy in order to make it. 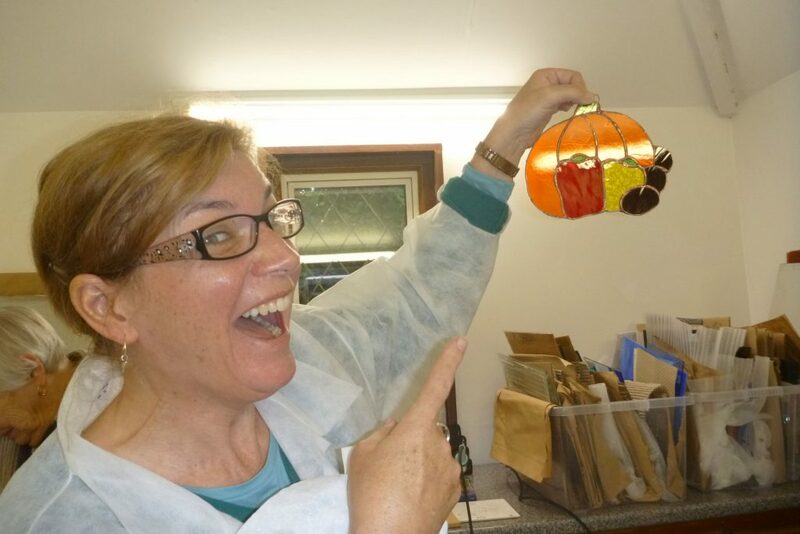 To book your copper folied stained glass class click below and select a date that suits you.